On the 50th anniversary of Winston Churchill's death, Jeremy Paxman tells the story of his state funeral and examines whether Churchill's immense legacy still has resonance today. 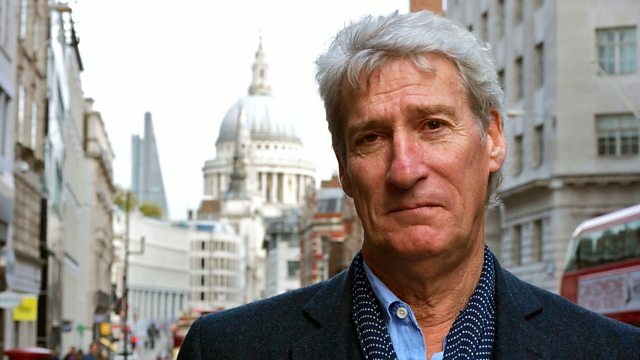 On the 50th anniversary of Winston Churchill's death, Jeremy Paxman tells the story of the send-off which Britain gave to the man who led the country to victory in the Second World War. More than a million people came to line the streets of London on the freezing day in late January to pay their respects as his coffin was taken from the lying-in-state at Westminster to St Paul's Cathedral. Millions more watched the state funeral on television. Churchill was the only commoner in the twentieth century to receive the honour of such a magnificent ceremony. In the programme, Jeremy explores whether Churchill's immense legacy still has relevance today and meets a wide range of people who were involved in the events of that day, from soldiers who bore the coffin, to members of Churchill's close family. He hears from Boris Johnson, author of a book on Churchill, and from a London docker who remembers that some of the dock workers had misgivings about saluting the passing coffin with their cranes as it passed down the Thames on a launch after the ceremony at St Paul's - one of the most memorable moments of that extraordinary day. The funeral ended at the village churchyard of Bladon where Churchill was laid to rest alongside his father, Randolph. At the close of the film, Jeremy reflects that no statesman has come close to rivalling Winston Churchill in the half a century since our nation mourned his passing. Would Churchill's depression disqualify him as Prime Minister today? "I've never seen such collective grief"
Find out why Churchill's path to greatness was often a rocky one. iWonder: Sir Winston Churchill: The greatest Briton? iWonder: Did Winston's words win the war? Programmes commemorating the 50th anniversary of Winston Churchill’s state funeral.